If you know one thing about Linux users, it’s probably this: they enjoy the challenge of installing their operating system of choice on pretty much anything with a transistor in it. It’s only a matter of time before they get around to replacing all those electronic singing greeting cards to make the sound of penguin mating calls. So the news that Linux has been ported to the iPhone and the iPod touch shouldn’t exactly come as a shock; please hold your cries of heresy until the end. 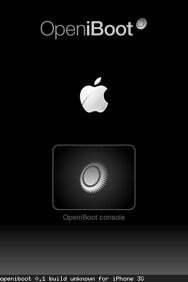 OpeniBoot, which brings the Linux 2.6 kernel to the iPhone platform was developed by members of the iPhone DevTeam, the same folks who have long been working on cracking the iPhone’s firmware every time a new version comes out. The capabilities of OpeniBoot are still incredibly limited—at present, there’s no support for writing to the flash memory, using the touch screen, wireless networking, the cell phone, sound, or the accelerometer. So if you thought that you’d be ending up with a fully operational Linux iPhone—or even a partially operational phone—I’m afraid you’re going to be disappointed for now. There’s also some talk that this may pave the way for installing Google’s Android OS on the iPhone, though as someone who’s been using a G1 for a few days now, that seems like overhauling a Porsche to run like a Hyundai. But then again, there’s always somebody who wants to prove that it’s possible. So knock yourself out, guys.